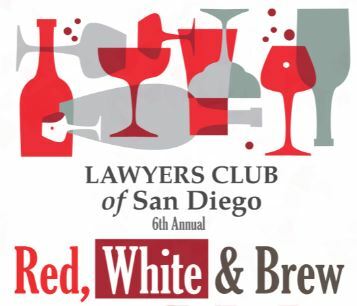 We invite you to join us at the Lawyers Club of San Diego’s 6th Annual Red, White, and Brew event! This is Vantage Point’s second year sponsoring this event and we guarantee you will enjoy networking with your peers from San Diego’s legal community and of course tasting all the beer from our city as well! Register below and see you there! We all know EBITDA isn’t the only metric of value that investors consider. Learn about the sale of San Diego based ACCESS Destination Services and how factors other than EBITDA played a unique role in the transaction. The panel will be moderated by our very own president, Todd Poling! ESOP Association | California/Western States (CAWS) 2018 Chapter Conference Program is SET! Monterey, CA – October 3-5th, 2018 Come to hear our very own Todd Poling speak! Join Vantage Point President, Todd Poling, as he speaks at the 30th Annual Conference of the California/Western States Chapter of the ESOP Association. Taking place in the beautiful Monterey, Ca, come together with hundreds of employee owners as we learn to Jazz Up Your ESOP! 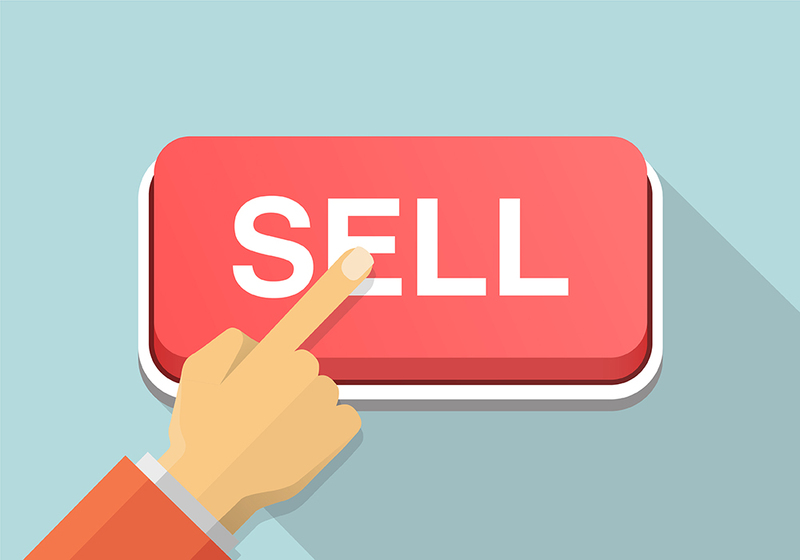 Thinking about selling your business? 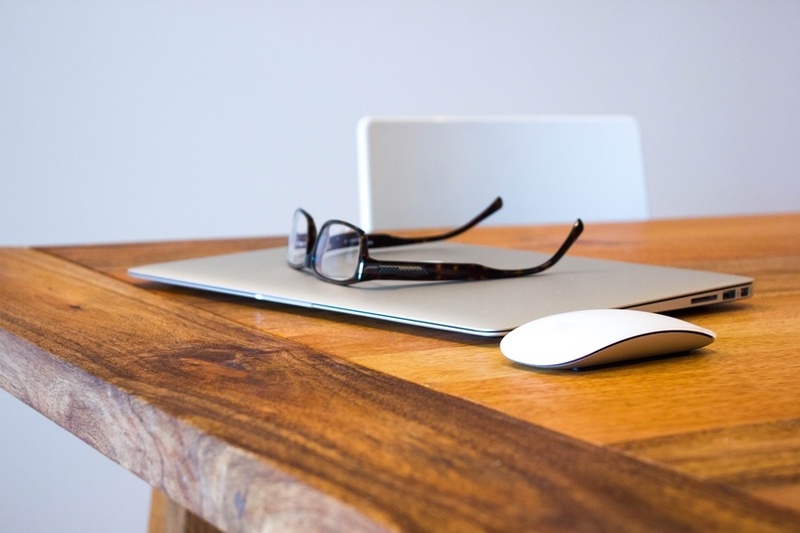 Currently contemplating drafting a Buy-Sell Agreement? Join us for the NCEPC ongoing Business Exit Planning Series where Vantage Point President, Todd Poling, as well as a panel of experts, to discuss possible issues that could arise and how to handle them. 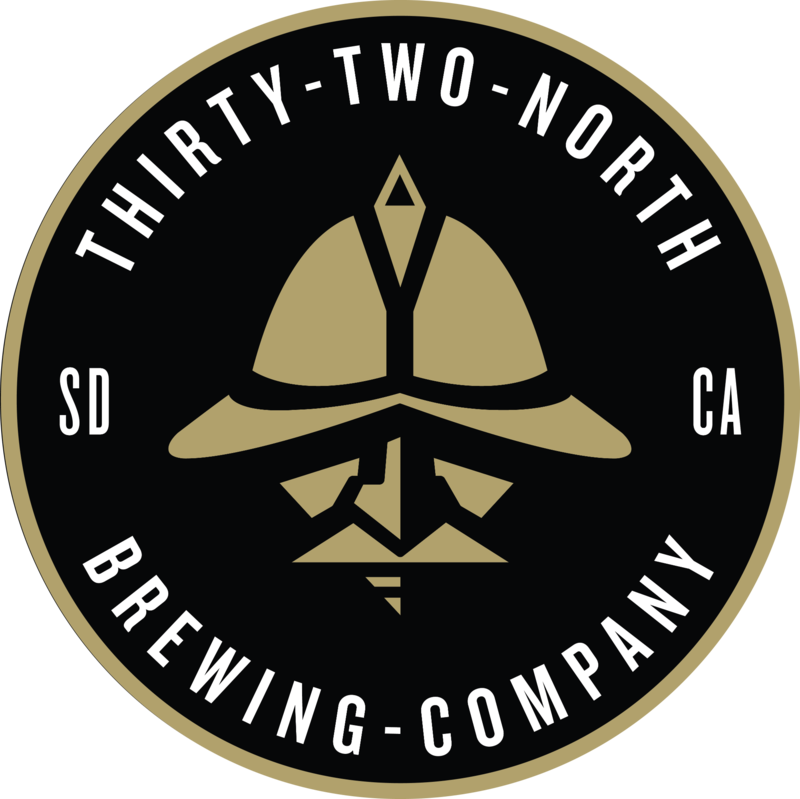 Join us and 500 of our closest friends for the SDVG 2018 Beer Bash at Scripps Seaside Forum Wednesday, July 25th at 4 pm! Take the afternoon off and enjoy the reason we all live and work in San Diego, THE BEER! And of course the beach too right? 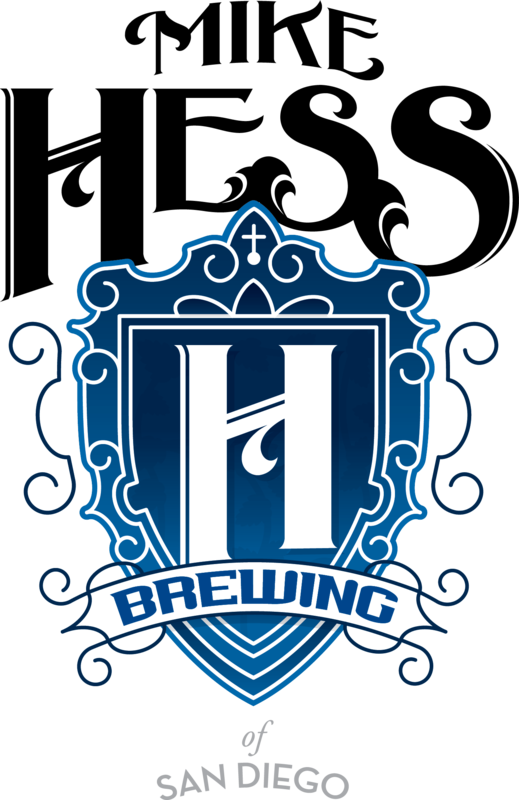 There will be live music, bubbling brews, delicious food and all the sunshine you can handle! Get to know some of San Diego’s finest in the Venture community! You will meet business executives, venture capitalists, entrepreneurs, techies and more. As always, Shoes Not Required! We hope to see you there! Stop by our booth and grab some Vantage Point swag! How could we forget the most important part? Join us for a panel discussion on how a local San Diego-based audio visual company was acquired by the 17th largest company in their industry! You will be able to look at this M&A transaction in depth to see the struggles, the triumphs and the lessons you can take back to your future deal planning. Vantage Point Advisors is honored to be named 2017 Advisor of the Year! Sponsored by BNY Mellon, these awards recognize local advisors who provide extraordinary service and value to owners of middle market companies in the sale, expansion or recapitalization of their companies. Vantage Point Advisors provides financial valuation, corporate finance, litigation support, due diligence/quality of earnings, economic damages, and broader financial advisory services. The firm serves U.S. and global clients from its headquarters in San Diego and its offices in New York City, Los Angeles, and Philadelphia. New York, NY (October 16, 2017) – Vantage Point Advisors, www.vpadvisors.com, a leading financial valuation, due diligence/quality of earnings, and transaction advisory firm, today announced the appointment of Jason Malak as Managing Director and Head of the firm’s recently established New York City Office. Mr. Malak will serve as the National Leader for Vantage Point Advisors’ transaction advisory services practice. Mr. Malak also brings significant expertise in valuation and purchase accounting under international and U.S. accounting standards. Mr. Malak’s financial and transaction advisory services experience includes large, highly complex, multi-disciplinary international assignments across the spectrum of industries, purposes, and client needs. He is particularly skilled in services meeting the rigorous and quick turn-around requirements of private equity firms, hedge funds, and venture capital companies. His past clients include Cerberus Capital Management, GE Capital, the Abu Dhabi Sovereign Wealth Fund, and many other leading investment firms with global investments. Mr. Malak’s clients have also ranged from VC-level growth businesses to Middle Market companies to the Fortune 100. In a prior role with a public firm providing global finance and accounting advisory services, Mr. Malak was the National Leader for services to private equity funds, VCs, and other asset management firms. Mr. Malak’s career of three decades also includes senior roles with the Transaction Advisory Practices of PricewaterhouseCoopers (PwC) and Ernst & Young (EY). In addition, Mr. Malak provided M&A, capital raises, investment analysis, valuation, and other transaction support services while in senior roles with Brunswick Capital Group, Houlihan Advisors, and Stanford Capital Partners. Mr. Malak earned a Master of Business Administration degree (Finance Concentration) from California State Polytechnic University and a Bachelor of Science degree in Electrical Engineering from the University of Maryland. 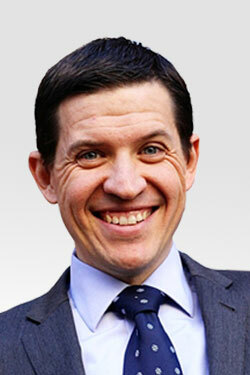 He is a former board member of the New York City Chapter of the American Society of Appraisers. Mr. Malak is also an active speaker on advanced finance, valuation, and accounting issues and is published in related topics. About Vantage Point Advisors: Vantage Point Advisors provides financial valuation, corporate finance, due diligence/quality of earnings, litigation support, economic damages, and broader financial and accounting advisory services. The firm has a robust valuation practice, including complex financial instruments analysis, fairness opinions, and solvency opinions. Clients retain Vantage Point Advisors in connection with mergers and acquisitions, post-transaction integration, investment decision-making, corporate restructurings and divestitures, valuation needs, financial reporting, estate planning and tax strategies, marital dissolution and litigation, bankruptcy, and general corporate planning, among others. The firm’s senior professionals have extensive valuation, investment, and transactional experience, as well as deep accounting expertise, most having past experience at major investment banks, “Big Four” accounting firms, private equity funds, and national valuation practices. Vantage Point Advisors serves U.S. and global clients from its headquarters in San Diego and its offices in New York City, Los Angeles, and Philadelphia. For further information on Vantage Point Advisors, call (858) 509-7545 or visit www.vpadvisors.com. ACG San Diego has brought together the best and brightest San Diego has to offer to help business owners and entrepreneurs navigate common exit strategies and options for companies and their owners. Following the panel, there will be a Private Company Forum for only Business Owners and C-level Executives, where you will be given the chance to ask questions and get guidance on how to implement a successful exit strategy at any phase. 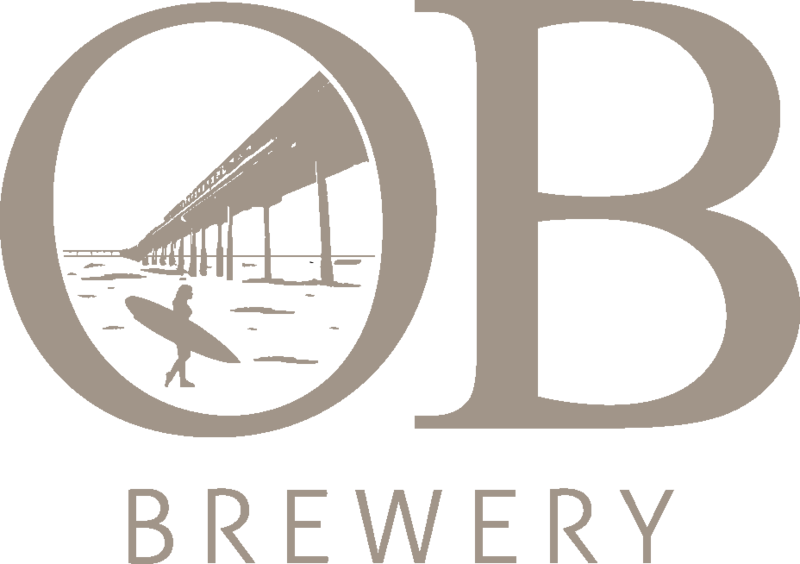 Join us and 500 of our closest friends for the SDVG 2017 Beer Bash at Scripps Seaside Forum Wednesday, July 26th, 2017 at 4 pm! Spend the afternoon soaking up the sun, sipping on a local craft brew and watching the sunset. Afterall those are the reasons we live and work in San Diego right? We hope to see you there! Stop by our booth and grab a Vantage Point beer bottle opener for later, you can never have too many! 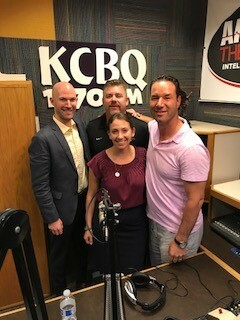 July 12th, 2017 – Vantage Point Advisors Manager Joshua Vannetti Joins Kyle Whissel on the air for “Whissel Wednesday” on KCBQ 1170AM. San Diego, CA – Tune in TONIGHT as Vantage Point Advisors’ Joshua Vannetti talks shop on all things business valuation, divorce mediation, real estate, and even marathon running with Amanda Singer, and Steven Wener! 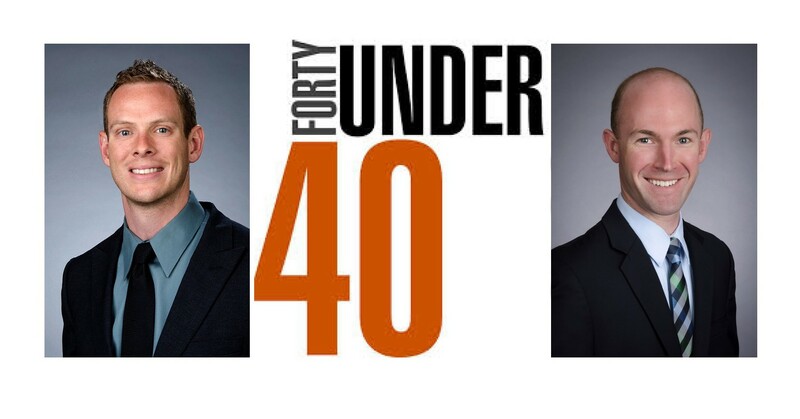 NACVA and the Consultants’ Training Institute Honor Joshua Vannetti & Brent Glova in the 2017 40 Under Forty! Vantage Point Advisors (VPA) is pleased to announce that for the second time, two of our esteemed employees; Brent Glova, Director and Joshua Vannetti, Manager, have been recognized by the National Association of Certified Valuators and Analysts™ (NACVA®) and the Consultants’ Training Institute™ (CTI™) as two of their “40 Under Forty”. The “40 Under Forty” recognition program highlights the top professionals, paving the way in the business valuation, litigation support, and related fields. The 40 nominees selected “exemplify the brightest emerging leaders in the profession”. This recognition is achieved by those who are dedicated to excellence and have a willingness to share their knowledge and experience with their profession and communities. To find out more information about the “40 Under Forty” along with the full list of honorees for 2017 click here. Rich will sit on a panel alongside Robert Copeland of Sheppard Mullin (M&A Attorney), John Henberger of Henberger Group, Inc. (Investment Banker/Business Exit Planner), and Nancy Henderson of Henderson Caverly Pum & Charney (Estate, Income Tax and Charitable Planning Attorney). Do you lease your company space or own your building? What is your company’s historical growth vs. the prospective future growth? Do you maintain any trade secrets, patents or other intellectual property? Does your business provide a service or a product? All the answers to the above would impact the valuation of your company. Join us to learn how! The North County Estate Planning Council – San Diego is the preeminent estate planning council in San Diego, drawing the top planners in San Diego, Orange, and Riverside Counties. In this talk, Cheryl Kessler will go through the myriad of factors and actions that go into the effective planning for an exit event. For any of us who’ve ever been part of a startup or early stage company, Cheryl’s talk will ring some bells, either for things we remember doing or things we wish we’d done. For those who are now, or expect to be in the future, in a position to start planning an exit event for their company, this talk will be invaluable. Just off of 805 and Mira Mesa Blvd. Once in the garage, drive to the left to the second set of elevators, to the East Tower. Take the elevator to the Plaza level and then switch to the bank of elevators to the 3rd floor. There is ample free parking in the garage or in the adjacent parking lot near the Scranton/Mira Mesa Food Court. .
San Diego, CA – September, 2016 – Vantage Point Advisors Director, Cheryl Kessler Discusses The Financial Considerations to Consider When Getting Married or Divorced. Listen live here. little known but important information about finances before you get married, the importance of getting a business valuation at the date of marriage, and division of business and other assets upon divorce. 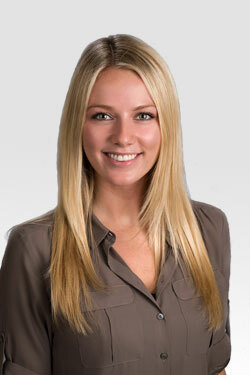 We are very pleased to announce the promotion of Ashleigh Reisig to Associate. Ashleigh established herself as a true standout shortly after joining the firm. Her accountability, high attention to detail, efficiency, and problem-solving skillset quickly garnered respect from both clients and her “internal clients”. As a result, she has become highly sought after for project execution—the true price of success around here! Ashleigh has been with the firm for just over a year and has consistently proven that she is able to perform at a level well beyond her years of experience and now former Analyst title. Her promotion to Associate was unanimously agreed upon by the senior team. As with all of our current staff, I see tremendous long-term potential in Ashleigh and am very excited about her future with the firm. Along with the rest of the senior leadership, I am very pleased with the team we currently have in place as well as the collaboration I am seeing on project work. While we will continue to look to add to our team and capabilities, our existing team is performing at a high level and the hard work over the past months is recognized and greatly appreciated. Please join us in congratulating Ashleigh in her new role! San Diego State University’s upcoming business seminar, “Growing Your Business In Changing Times”, will be held on September 21st, 2016 at The Alexandria in Torrey Pines. The seminar will feature various business leaders offering tips and tricks for adapting to volatile times and still grow your business. The National Business Institute’s seminar, Estate Administration From Start to Finish, was designed for attorneys who are new to estate administration or need a basic refresher. The course provided a comprehensive overview of estate administration, including proper asset valuation and distribution, taxation, and account closing procedures. The audience also learned how to correctly deal with thorny estate administration debt issues, including jointly held assets, business ownership and complex tax issues. The featured guests provided real-life, practical knowledge to ensure audience members were fully prepared to handle the entire estate administration process from start to finish. Speakers included some of San Diego’s top experts and advisors: Todd Poling, Brian Alexander, Janathan Allen, Scott M. Grossman, and Robert C. Mardian III. Brian Alexander and Todd Poling provided an in-depth discussion on Marshalling Assets including; procedures to locating and marshalling probate and non-probate assets, sample forms and documents needed, and appraisers and valuing the property of probate assets. Todd Poling is the founder and president of Vantage Point Advisors, Inc., where he is actively involved in valuation engagements of all types and also leads the firm’s strategic planning and business development efforts. Prior to founding Vantage Point Advisors, Inc., Mr. Poling was managing director of CBIZ Valuation Group, Inc., spending several years with the firm in the Dallas, San Diego, and Los Angeles offices. While at CBIZ, he managed large and complex valuation consulting engagements focusing heavily in the transaction arena. Mr. Poling participated in numerous engagements involving corporate re-structuring, initial public offerings, mergers and acquisitions, ESOPs, and fairness opinions. In addition, he provided valuation consulting in litigation support situations and served as an expert witness in both deposition and trial settings. Mr. Poling earned his B.S. degree from the University of South Dakota and his M.B.A. degree from Southern Methodist University. 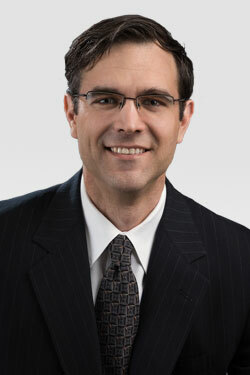 He is currently immediate past-president and serves on the Board of Directors of the San Diego Chapter of the Association for Corporate Growth (ACG), the Advisory Board of the San Diego State University Business Forum, member of the San Diego Rotary Club 33, as well as a trustee of the University of South Dakota Foundation. Find out more about Todd here. We are very pleased to announce Josh Vannetti’s promotion from Associate to Manager. Josh consistently does all of the things that one hopes to see in an up and coming young professional and leader. What are those, you might ask? Well, it starts with his work. Josh has an exceptional responsiveness to clients; the willingness and ability to juggle competing projects and deadlines; an understanding of the big picture while maintaining acute attention to detail; sound technical competencies in core areas and the drive to push himself to learn new skills; the need learn from his mistakes and not repeat them. Well, you get the picture. A few months ago Josh began working like a Manager and that was the evidence it took to see that it was time for a move. These types of transitions are the foundation of an evolving and expanding services firm such as Vantage Point Advisors. Please join me in congratulating Josh in his new role! 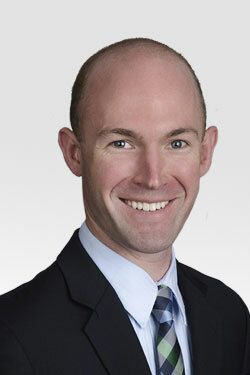 We are very pleased to announce the addition of our newest Associate, Rick Kirk. Rick comes to the firm with a background valuating startups and established companies for financial and tax reporting purposes at Value Prism Consulting. Rick will be contributing on purchase price allocations (ASC 805), goodwill impairment testing (ASC 350), board advisory, and share based compensation valuations (IRC 409A and ASC 718). Please join me in welcoming Rick to the firm. Receptos was a public company formed in 2009 with specific focus in immunology and metabolic disorders and was purchased by Celgene Corporation for $7.8 Billion in August 2015. Prior to joining Receptos, Mr. Hasnain was the President and Chief Executive Officer and a director of Facet Biotech Corporation from December 2008 until the company’s acquisition by Abbott Laboratories in April 2010. Mr. Hasnain was President, Chief Executive Officer and a director of PDL BioPharma, Inc. from October 2008 until Facet Biotech was spun off from PDL BioPharma in December 2008. From October 2004 to September 2008, Mr. Hasnain served at Biogen Idec Inc., most recently as Executive Vice President in charge of the oncology/rheumatology strategic business unit. Carol Gallagher joined New Enterprise Associates (NEA) in October 2014, where she is primarily focused on biopharma investments. Carol is a proven entrepreneur, operator and more recently investor with more than 25 years of experience in commercial, drug development and business development roles. Prior to joining NEA, she was a Venture Partner with Frazier Healthcare and she served as an independent director on multiple Boards including Aragon Pharmaceuticals. From 2008-2011, Dr. Gallagher was the president and CEO of Calistoga Pharmaceuticals that developed the first cancer therapeutic ZYDELIG. During her tenure as CEO at Calistoga, Dr. Gallagher raised $80 million in venture financing and led the company to a successful exit with the acquisition by Gilead Sciences in April 2011 for $375 million and a total consideration of $600 million. This represents a huge step in the strategic development of the firm and a well-deserved personal accomplishment for both Rich and Chris. Rich has increasingly taken on a significant level of project management responsibilities since joining the firm and has contributed a meaningful level of new business, all while establishing the firm’s presence in Los Angeles. Without his expertise, effort, and willingness to roll up his sleeves and do a lot of the work himself, we simply could not have executed many of the more rigorous engagements that have come our way. I have always been confident in Rich to handle whatever I throw his way and know that the engagement is under control. Rich’s transaction and opinion experience is critical to the next phase of the firm’s growth and I am confident that we have the skills and leadership in place to aggressively enhance this piece of the business. Similar to Rich, Chris has taken on a significant level of project management and is contributing a meaningful and growing level of new business. In addition, Chris has taken an active role in advancing many of the firm’s internal initiatives that compete for scarce time. Chris’s technical capabilities and resources are critical to the development of our fair value practice and will be critical for new and more complex engagements in the years ahead. Chris is an enterprise thinker and is always looking for ways to make the business better. He has also been instrumental in the firm’s recruiting efforts. Join me in congratulating Rich and Chris in their new roles! The Securities and Exchange Commission (SEC) approved new rules, that will begin next year, allowing start-ups to raise money by selling equity to Americans. Director, Gregory Urbanchuk, was quoted discussing the potential benefits, and what it means for investors and consultants alike. The SEC says they will keep a watchful eye on the new wave of crowdfunding. For now, it’s the average Americans chance to get a piece of the pie with the next Uber or Twitter. Vantage Point Advisors’s President Todd Poling and Manager Brent Glova presented at an Educational Seminar on ESOPs held Thursday September 17, 2015. Vantage Point co-sponsored the event along with Signature Analytics, Morgan Stanley and the UC San Diego Beyster Institute. The Alliance of M&A Advisors® (The Alliance) is the Premiere International Organization serving the educational and transactional support needs of middle market M&A professionals worldwide. 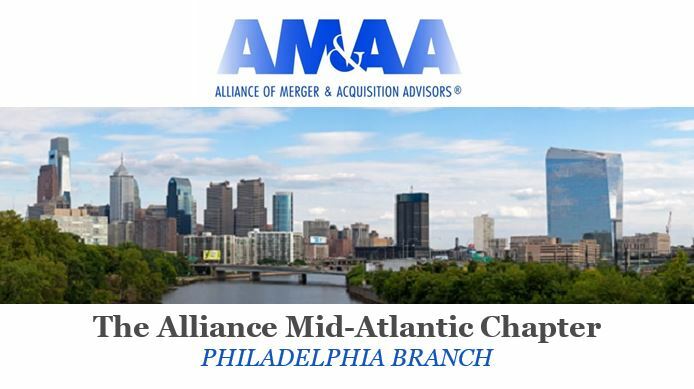 The Alliance was formed in 1998 to connect CPAs, attorneys, and other experienced corporate financial investors and advisors, and currently has more than 1,000+ professionals that are among the most highly recognized leaders in the industry—drawing upon proven capital resources combined with a think-tank of transactional expertise to better serve the many business investment needs of middle market companies worldwide. Alliance Members represent corporate and institutional sellers and buyers of businesses ranging broadly from $5 to $500 million in transaction value. These essential corporate financial advisory and transaction services include investment banking, accounting, finance, valuation, tax, law, and due diligence. 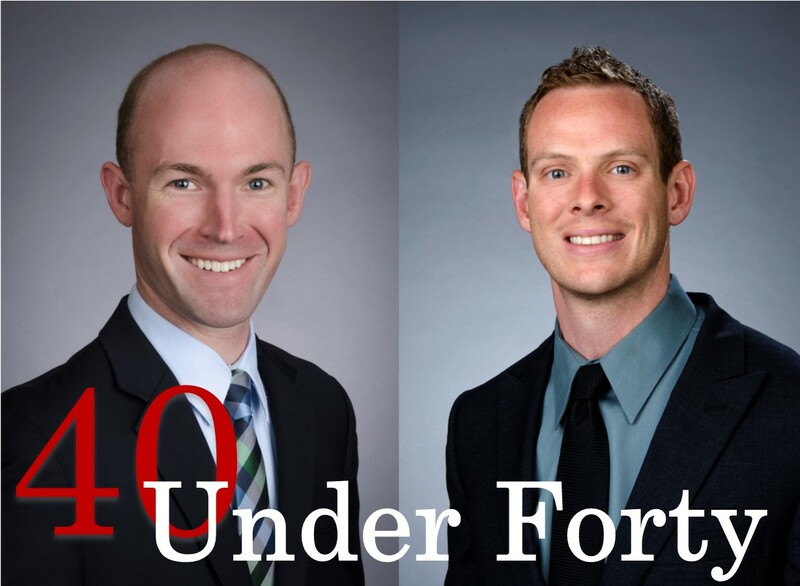 The National Association of Certified Valuators and Analysts (NACVA) honor two of Vantage Point Advisors’ professionals in its inaugural “40 Under Forty” for their accomplishments to the profession and their communities and for their contributions yet to come. Brent Glova, Manager and Joshua Vannetti, Senior Associate earned the Certified Valuation Analyst (CVA) designation with NACVA in 2014. They have represented Vantage Point Advisors and NACVA as outstanding individuals in their fields of valuation. Vantage Point is happy to have such talented and distinguished individuals on our team. We congratulate Josh and Brent on their achievements and look forward to the continued success and service they provide to our clients. NACVA’s Mission — To provide resources to members and to enhance their status, credentials, and esteem in the field of performing valuations, financial forensics, and other related advisory services. To further this purpose, NACVA will advance these services as an art and science, establish standards for membership in the Association, provide professional education and research, foster practice development, advance ethical and professional practices, enhance public awareness of the Association and its members, and promote working relationships with other professional organizations. Ashleigh comes to the firm from American Pacific Mortgage in Roseville, California, where she worked as a Secondary Markets Specialist. She has experience with audits, loan documentation, and inter-business communications. Ashleigh will be helping on various business valuation work utilizing a variety of valuation methodologies including discounted cash flow, guideline public company and transaction analyses, option-pricing methods, and equity allocation. 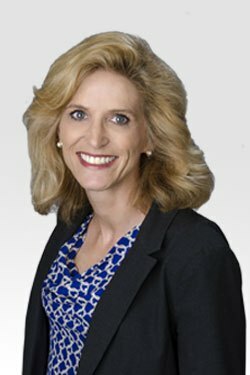 Ms. Reisig will be involved in a wide variety of projects including BEV/ fair value measurement, debt and equity securities, share-based compensation valuations (under IRC 409A and ASC 718), marital dissolutions, litigation support, financial reporting/tax compliance, and gift and estate planning. Please join me in welcoming Ashleigh to the firm! Vantage Point Advisors’ Director, Cheryl Kessler, will be presenting at the North County Bar Association, located in Vista, San Diego, California. Cheryl will be speaking to her experience and knowledge of how valuation relates to Buy-Sell Agreements in Estate Planning. Cheryl is an expert in business valuations specializing in valuation opinions for martial dissolutions, gift and estate tax planning purposes, mergers & acquisitions and stock option plans. Cheryl presents a credible, defensible and easy to understand analysis of financial and complex valuation issues in concise reports and/or via expert testimony. Cheryl has the experience, knowledge and expertise to perform business valuations and income for support analysis for Family Law cases, and has served as a 730 neutral expert and an expert witness at trial. Since 1956, the North County Bar Association has been dedicated to providing its members with programs and services promoting the development of the legal profession. Cheryl will be presenting with Bob Copeland, partner at Sheppard Mullin. For more information about Bob please click the following link. On February 24, 2015 Cheryl Kessler, Vantage Point Advisors Director, participated in a valuation case study held at the University of San Diego (USD) School of Law. The Honorable David Laro, a U.S. Tax Court judge, is a Professor-in-Residence at USD, where he teaches courses in Tax Policy and Business Valuation. Judge Laro reached out to Ms. Kessler to assist in an in-class case study. Her role was to provide a valuation case and participate as an expert in a mock trial. The students exercised how to cross examine an expert (Ms. Kessler) on her credentials and the merits of the presented valuation case. After the cross examination, Ms. Kessler lectured on the issue of tax affecting S corporations and other pass-through entities. With more than 20 years of experience in the business valuation profession, Ms. Kessler was able to share a great deal of knowledge and experience with Judge Laro’s students. The event was a success and an excellent opportunity for students to learn how to review a valuator’s credentials and understand real world valuation processes. Learn more about Cheryl Kessler and her experience in business valuation. 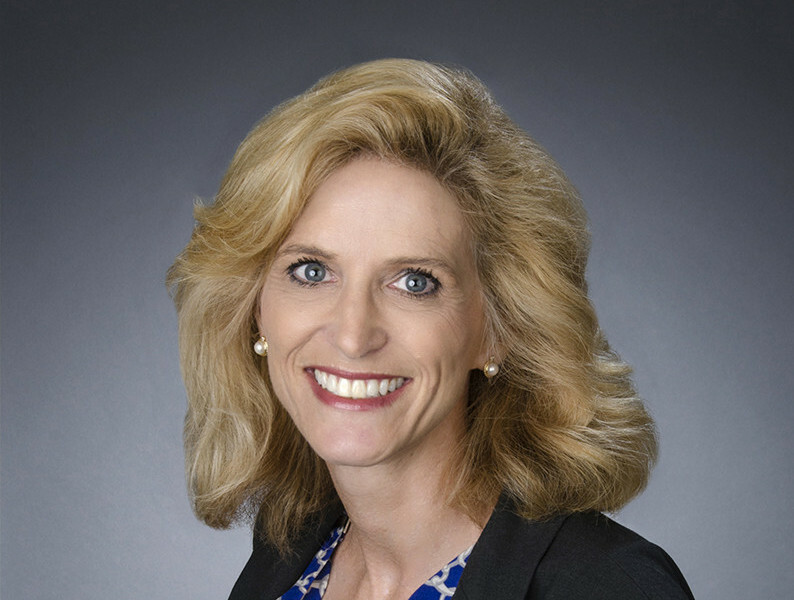 Cheryl Kessler, a Director with Vantage Point Advisors, will be the keynote speaker at the San Diego Chapter of the Financial Executives Networking Group (FENG). When is a valuation needed? What is IRS Section 409A — and who is affected by it… and when? What’s the difference between valuing a startup company and a mature company? How can you value intellectual property? 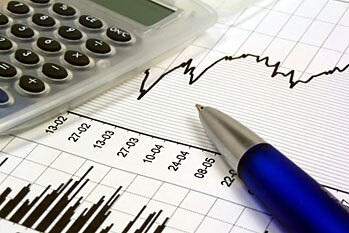 How to differentiate between common stock and preferred? What about stock options, or restricted stock? What guidance, if any, should a CFO give when s/he hires a valuation expert? When a company is being sold, how do you determine the price? Does it depend on the buyer? Why do some industries use a multiple of revenue to do valuations, while others use a multiple of earnings? Which is right? Is the value of a minority interest just a pro rata percentage of the corresponding majority interest? If two opposing parties get into a game of dueling valuation experts, who wins? Is valuation a science, with immutable laws? Or a crapshoot… or something in between? For 20 years, Ms. Kessler has helped early-stage firms, closely-held companies and many others across multiple industries determine the value of their equity, enabling them to close on their transactions. For additional details about this event go to www.thefengsd.org. Mark Sadauski joined our team in January 2015 as Manager in our San Diego office. Gregory Urbanchuk joined our team in February 2015 as a Director, opening our Philadelphia office. Mark Sadauski joined our team in January 2015 as Manager in our San Diego office. Gregory Urbanchuk joined our team in February 2015 as a Director. He opens our first East Coast office in Philadelphia. 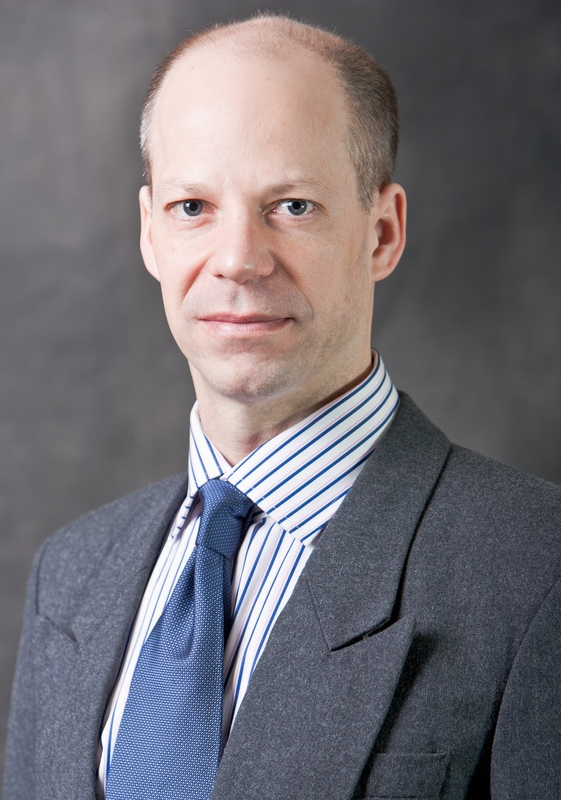 Gregory Urbanchuk is an experienced financial and economic expert and is responsible for the provision of forensic, dispute, and valuation consulting services. He has extensive experience in the quantification and evaluation of complex damage claims in a variety of jurisdictions and has provided testimony in matters before U.S. Federal and State Courts. Mr. Urbanchuk provides forensic and dispute consulting advice in relation to a variety of matters, including intellectual property (“IP”) disputes, acquisition disputes, antitrust/competition matters, business interruption claims, breach of contract, complex international funds tracing, construction defaults and delays, economic damages, fraud investigations, regulatory pricing disputes and bankruptcy adversary proceedings. He also provides non-contentious valuation services in relation to a variety of assets, including business interests and intangibles. Mr. Sadauski served in senior positions for a number of valuation firms and brings to our team not only valuation experience but a financial background in Investment Management. On January 27th, a panel of experts from different industries kicked off SDSU’s 2015 Business Forum Speaker Series, which was presented by the University’s Lavin Entrepreneurship Center and College of Business Administration. The moderator for the night was Vantage Point Advisors’ President and Founder, Todd G. Poling. The industries represented included hospitality, construction, technology and healthcare. The industry speakers included Robert Gleason, President and CEO, Evans Hotels; Jim Ryan, CEO, Associated General Contractors of San Diego; Jerry Sanders, President, San Diego Chamber of Commerce; and Rick Valencia, Senior Vice President and General Manager of Qualcomm Life. 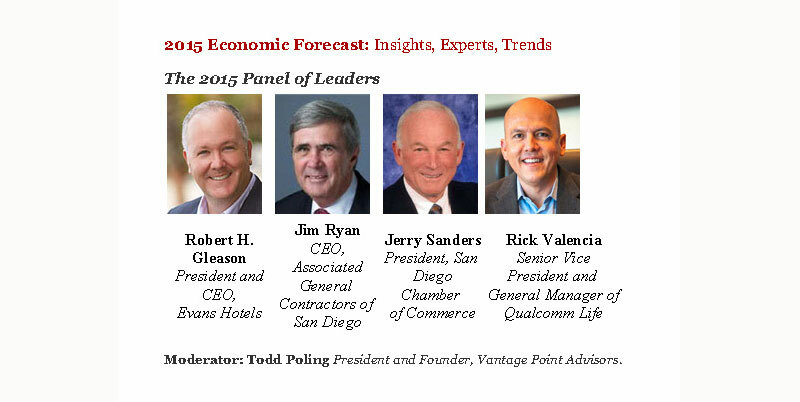 These business leaders provided insights on the 2015 San Diego Economic Forecast during the event. The event was successful as it discussed the economic climate of San Diego, its industries and touched upon the Southern California and U.S. economies as a whole. Vantage Point Advisors enjoyed co-sponsoring the event and looks forward future events with SDSU. ACG’s panel of experts will discuss the trends affecting current valuations. The panelists include perspectives from a corporate attorney, valuation experts, investment banking and a serial entrepreneur through their experience with numerous transactions. For CEOs, Business Owners and Senior Executives of Growing Businesses. 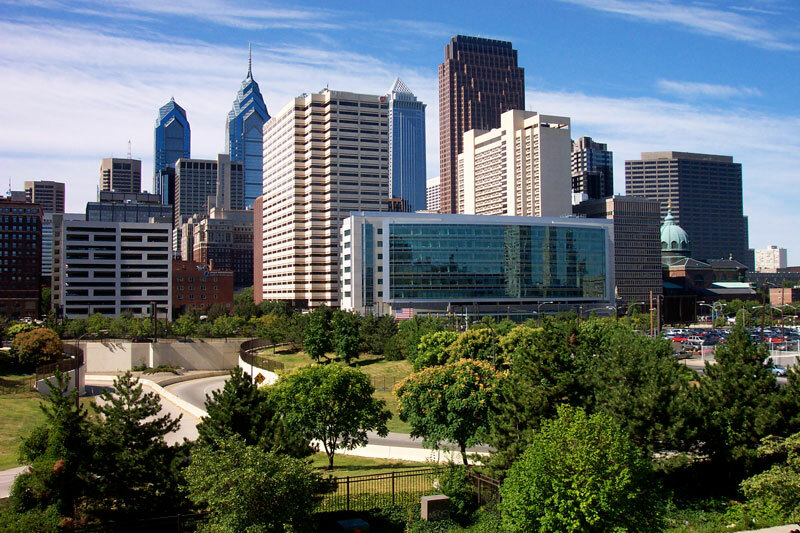 Vantage Point expands with a new office opening February 1, 2015 in Philadelphia, PA. The Philadelphia office is being managed by Gregory Urbanchuk (Director) and supported though the firms other offices in San Diego, Los Angeles and Orange County, California. Vantage Point Advisors is an independent, corporate valuation firm that offers a full complement of corporate valuation and financial advisory services. The firm has collectively completed thousands of engagements across most industries. The VPA team has significant transactional, operational and financial expertise, enabling us to provide practical and comprehensive valuations. 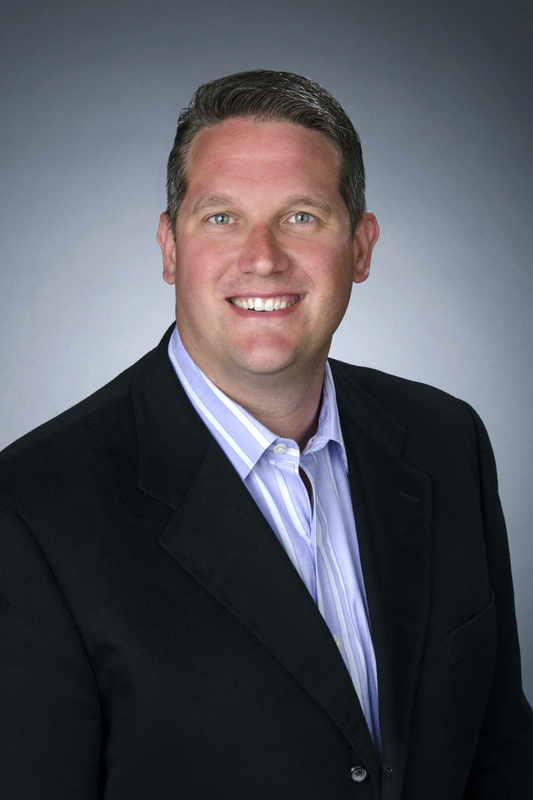 We are pleased to announce that in January 2015, Mark Sadauski joined Vantage Point Advisors. Mark is a manager in our San Diego office. Mark will bring great experience to the team having worked extensively with stock-based compensations (ASC 718 and IRC 409A), embedded derivatives (ASC 815), purchase price allocations (ASC 805), goodwill impairment testing (ASC 350) and fair value (ASC 820). Mark has served domestic and international clients in an array of industries including: medical device, biotechnology, pharmaceuticals, technology and manufacturing among others. Prior to joining Birch Valuation, Mark served in senior positions for a number of valuation firms including Cabrillo Advisors and Globalview Advisors. Vantage Point Advisors is pleased to announce that in Gregory Urbanchuk joined the firm as a Director. Greg will be based in our Philadelphia office. Greg has extensive experience in the quantification and evaluation of complex damage claims in a variety of jurisdictions and has provided testimony in matters before U.S. Federal and State Courts. Greg provides forensic and dispute consulting advice in relation to a variety of matters, including intellectual property (“IP”) disputes, acquisition disputes, antitrust/competition matters, business interruption claims, breach of contract, complex international funds tracing, construction defaults and delays, economic damages, fraud investigations, regulatory pricing disputes and bankruptcy adversary proceedings. The 2015 Economic Outlook will discuss the upcoming economic trends in San Diego in hospitality, construction, technology, and healthcare. Joshua Vannetti, a Senior Associate with Vantage Point Advisors, will be participating in a joint volunteer opportunity between CalCPA’s Financial Literacy Program and Junior Achievement. He will be talking to students about practical financial matters to help teach them how to make good financial decisions early on. Josh is a licensed CPA and participant of CalCPA since 2012. Josh provides litigation support services in the areas of business valuation, marital dissolution, bankruptcy, lost-profit analyses, and the quantification of economic damages. The event takes place at Central Elementary School in City Heights (San Diego) on December 9th, 2014. Junior Achievement will provide more than 65 volunteers in every 1st thru 5th grade classroom who will teach students interactive lessons on financial literacy, entrepreneurship, and workforce readiness. Junior Achievement helps students from Kindergarten through 12th grade develop the skills and knowledge to get a job, start a business, and understand how money works. The CalCPA Education Foundation provides continuing education and information to CPAs and other professionals. Founded in 1966, the CalCPA Education Foundation is a 501(c)(3) organization and a sister organization of The California Society of Certified Public Accountants (CalCPA). 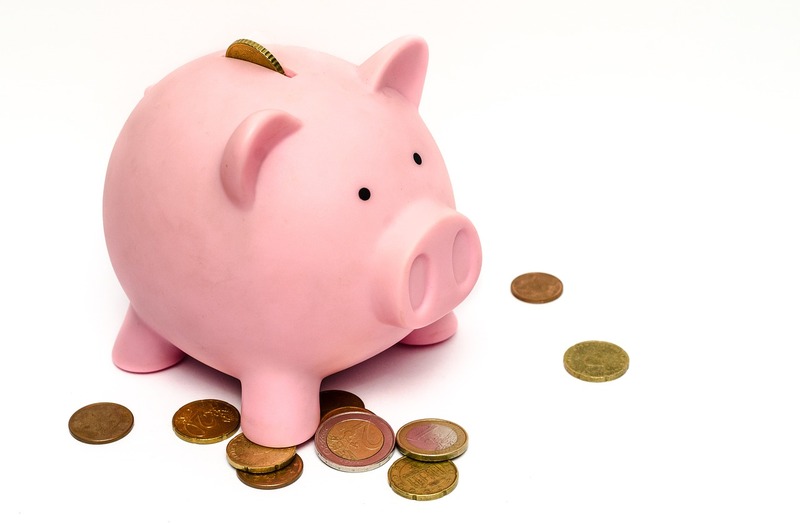 The Financial Literacy Program is a part of the CalCPA Education Foundation, which provides free educational resources for teachers and builds connections within the California community to promote financial education. The program also focuses on the how the next generation can be empowered to better manage their finances through education. CalCPA members are viewed as leaders in professional competency and integrity by clients, employers, the public and government officials as a result of their efforts through the organization. If you would like to learn more about CalCPA, please visit the CalCPA website. Vantage Point Advisors’ Founder and President, Todd Poling, will present at the Manos Angel Network One Day Conference. This will be his second time working with the participants on “Valuation as it Relates to Angel Investing”. The Manos approach is really unique in that all prospective angel investors are screened and then required to complete an intensive boot camp workshop prior to investing in any of the start-ups. Since the participants are already successful entrepreneurs or investors, I am able to draw upon the real-life experiences of the people in the room during the presentations. This definitely adds to the quality of the program and makes it a lot more fun to facilitate. Todd is actively involved in valuation engagements of all types and leads the firm’s strategic planning and business development efforts. Throughout his career, Todd has managed large and complex valuation consulting engagements involving corporate re-structuring, initial public offerings, mergers and acquisitions, ESOPs and fairness opinions. In addition, he has provided valuation consulting services in litigation support situations and served as an expert witness in both deposition and trial settings. 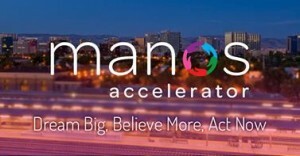 The Manos Accelerator is a mentorship-driven accelerator program that provides “hands-on” education, business resources, infrastructure, capital, and guidance for promising startup companies led by Latinos. The conference takes place on Monday, November 10, 2014. It is a full day workshop and panel. Manos Angel Boot Camp participants and anyone interested in angel investing, whether entrepreneurs, young professionals, corporate managers and executives, traditional capital markets and non-high tech investors, retirees, philanthropists, Latino community backers, are all welcome. Vantage Point Advisors continues to sponsor the SDSU Business Forum Speaker Series. 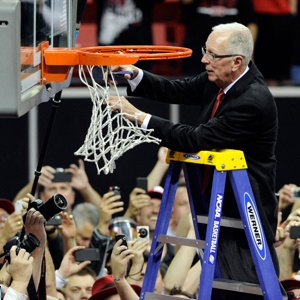 Join Vantage Point Advisors for a dynamic speech on “Building a Great Team” by famous SDSU Basketball Coach, Steve Fisher. The event will be held Wednesday, September 10th from 3:30 pm – 6:00 pm at the Hyatt Regency La Jolla at Aventine. Not only is this a great program, this event is a great networking platform to meet top executives in the San Diego community. Vantage Point Advisors Director Cheryl Kessler was a guest expert for a mock trial at U.S. Tax Court Judge David Laro’s University of San Diego’s Graduate Law School class on Wednesday, July 16th. Ms. Kessler was able to assist in educating law school students by participating in an exercise to teach students how to qualify an expert to testify in U.S. Tax Court, and how to cross-examine a business valuation expert. Ms. Kessler also discussed with the students the potential valuation pitfalls for buy/sell provisions in legal documents. Judge David Laro, highly regarded Tax Court Judge was appointed to the United States Tax Court in 1992 by President George H. W. Bush. After the end of his term, Judge Laro continues to serve as a senior judge on the court. He stands as a consultant for Harvard University (Harvard Institute for International Development) as well as Georgia State University. He has lectured on tax reform internationally in countries such as Russia and Azerbaijan. In addition, Judge Laro is a commentator for the American Bar Association’s Central and East European Law Initiative on the draft laws of Uzbekistan, Kazakhstan, Slovakia, Ukraine and the Republic of Macedonia. 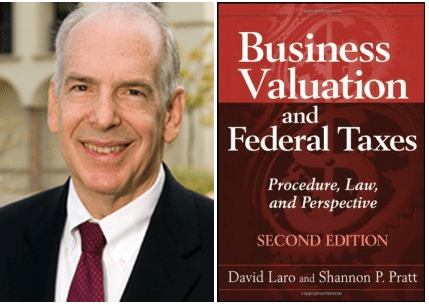 His key publications include Business Valuation and Federal Taxes: Procedure, Law and Perspective, 2nd Edition (with Shannon Pratt); and Business Valuation and Taxes: Procedure, Law and Perspective (with Shannon Pratt). Not only is Judge Laro a visiting Professor at the University of San Diego Law School, he also teaches at Georgetown University and Stanford University. 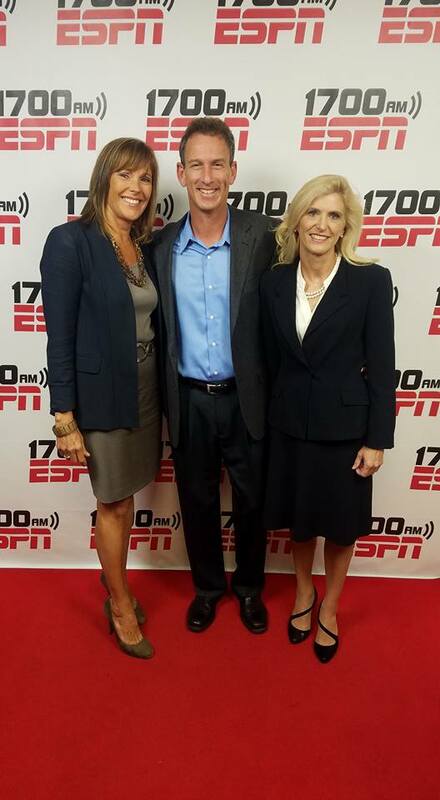 Vantage Point Advisors President, Todd Poling spoke at the Manos Angel Network’s One Day Conference held on Friday June 27, 2014. Todd spoke on valuation related topics and in successful break out sessions. Vantage Point Advisors had the pleasure of attending the Association for Corporate Growth’s (ACG) San Diego Event – “Welk Resort’s Remarkable Success”. The breakfast program was held at the Del Mar Marriott from 7am – 9am featuring speaker Jon Fredricks, President of Welk Resorts. Since becoming President of Welk Resorts in 1999, Jon Fredricks, grandson of the late Lawrence Welk, has led the company to realize unprecedented growth by fostering profitable expansion projects and corporate development. He oversees Welk’s seven resort properties in: San Diego, CA; Cabo San Lucas, MX; Branson, MO; Palm Springs, CA, Breckenridge, CO; Tahoe (Truckee), CA and Kauai, HI (future project). Jon’s leadership has guided the strategic direction of his team, setting the company on pace to achieve over $150 million in annual revenue. This includes completing over 900 shared ownership units and in various stages of planning over 1,000 additional units at our current resort locations. Welk Resorts enjoys a reputation for 4?start quality resorts with activities and amenities unparalleled in the industry. In 2013, Welk Resorts’ Sirena Del Mar property in Cabo achieved the Expedia Insiders Select Award and was named #7 in the World. The Lawrence Welk brand conjures images of the big band variety show that aired on television from 1945 to 1982 or the Lawrence Welk Village north of Escondido. 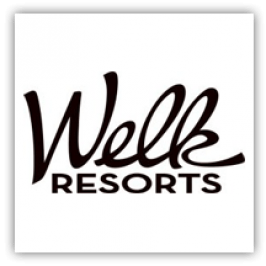 What most don’t know is that Welk Resorts is a thriving $150 million annual revenue youthful luxury resort group with seven large properties including a stunning property in Cabo San Lucas that won the Expedia Insiders Select Award and was named #7 in the World in 2013. ACG will have the honor of hearing from the President of Welk Resorts, Jon Fredricks, as he tells the story of how the Welk family leveraged its brand name and the cash flow from its entertainment business to build a youthful and luxurious Welk resort portfolio with properties in San Diego, Cabo San Lucas, Palm Springs, Breckenridge, Tahoe, Kauai and Branson, MO. We will hear how the business has grown through a combination of innovative M&A transactions and organic development. Jon will also discuss plans that will more than double the size of the company. The discussion will include Jon’s perspectives on identifying, nurturing and growing new lines of business, using M&A transactions to accelerate business transformations, pitfalls to avoid when acquiring a new business, and funding explosive growth without risking the core enterprise. 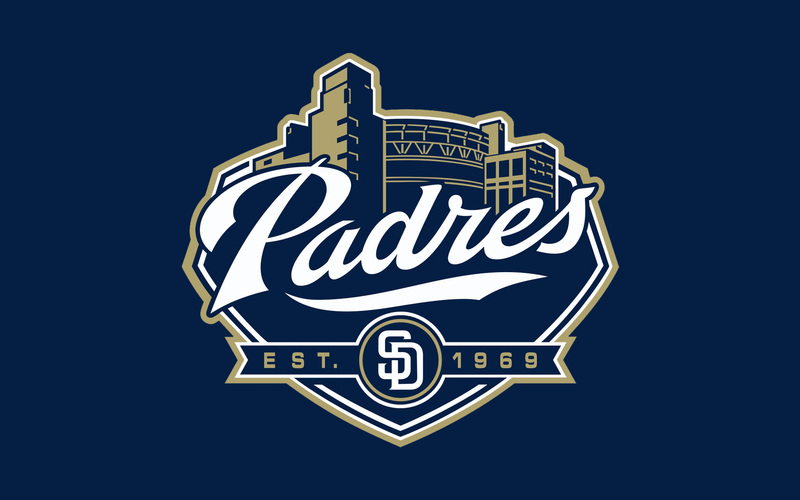 Ron Fowler – Executive Chairman of the ownership group of the San Diego Padres franchise in Major League Baseball and CEO of Liquid Investments Incorporated, a San Diego beer distributorship. 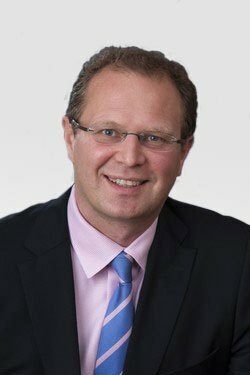 Peter Seidler – Managing Partner of Seidler Equity Partners (SEP) and assumes chief oversight of all firm activities. Gary Sutton – Serves as an Advisor of American Franchise Company, LLC. 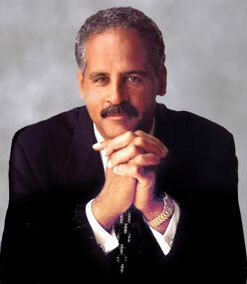 Mr. Sutton is a nationally recognized turnaround expert, author, and top-rated speaker. He has been a Director of Websense, Inc., since June 1999 and of Pulse Electronics Corporation since May 17, 2013. After the program, attendees watched the San Diego Padres play the Minnesota Twins from the exclusive Jack Daniels Deck located in right field. On May 1, 2014, the Lavin Entrepreneurship Center hosted its Business Forum Speakers Series featuring Stedman Graham as the keynote speaker. Mr. Graham talked about leadership, success and maximization of life potential. “You can’t let anybody else define you,” he said. “Freedom is not about how other people define you, but how you define yourself,” added Mr. Graham. He also pointed out that in order to be successful, people should realize that everyone is given 24 hours to make a difference, and what matters is how people make use of their time. Over 140 San Diego business leaders attended the event, contributing to the conversation and addressing the questions and concerns raised. Learn more about the SDSU Business Forum, including upcoming events at the SDSU Lavin Entrepreneurship Center. Are Latinos the Next Generation of Stem Innovators? Attendees were privileged to an exclusive program featuring the Spanos brothers of the San Diego Chargers. Both A.G. and John Spanos discussed the challenges they face on and off the football field. They provided plans for the future, including upcoming business plans and innovations that will keep their team viable and successful. Vantage Point Advisors President, Todd Poling delivered an informative presentation on “Recent Trends in Fair Value Reporting” at the HighTower Advisors Breakfast Program. Attendees had the option to earn CPE credit while gaining more insight into the valuation field. Vantage Point Advisors is happy to announce their sponsorship of the SDSU Business Forum Speaker Series for 2014. The Lavin Entrepreneurship Center, housed with San Diego State University’s (SDSU) College of Business Administration, has emerged as an entrepreneurial leader. The University’s innovative learning environment and San Diego’s exciting entrepreneurial business climate are brought together through dynamic curriculum, local industry leadership support, and philanthropy to establish a leading entrepreneurship program. At the Center, students and faculty work collaboratively to successfully market and implement numerous programs at SDSU and in the San Diego community. The Lavin Entrepreneurship Center and the College of Business Administration at SDSU are proud to announce the 2014 Business Forum Speaker Series. The Business Forum will address topics of interest and concern to entrepreneurial companies in the Southern California region. Each Speaker Series event will happen on a quarterly basis beginning in 2014 and will be located centrally in the UTC area of La Jolla. This program will provide strategic tools for growing businesses to ensure sustainable growth and prosperity. VPA President Todd Poling and Director Cheryl Kessler delivered the CPE presentation at the Rancho Bernardo Inn today. After the morning presentations, the event continued on the golf course. Kara Strauss, Corporate Communications, set up a sponsor tent on Hole 18 for the remainder of the afternoon while Directors Cheryl Kessler and Christian Dougherty played on the green. The event concluded with an evening networking reception and awards ceremony. Vantage Point Advisors are 2013 annual sponsors for the Los Angeles Venture Association (LAVA). 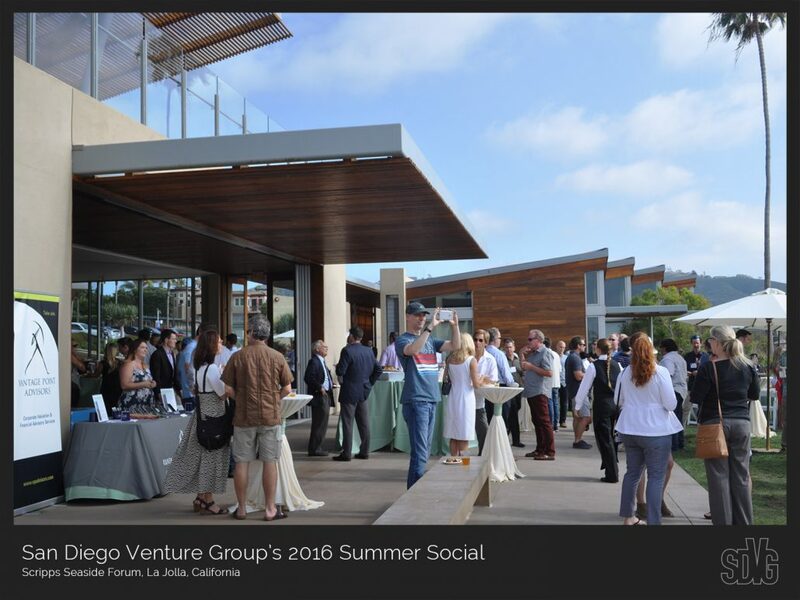 LAVA’s annual summer bash “Meet the VC”, held at the famous Annenberg Community Beach House in Santa Monica was a tremendous success with over 250 executives in attendance. The event featured an orientation and champagne reception, an investor pitch session, and a beach house bash to conclude the night. Hosted at the Scripps Seaside Forum overlooking the ocean in La Jolla, the sold out event was a tremendous success! The event featured tastings of San Diego’s best craft beers, great food catered by Premier Carriage Trade, a live band and a sunset on the beach. 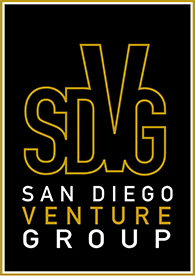 Vantage Point Advisors will be sponsoring the SDVG Summer Social 2014 being held at the same location on August 27, 2014. Vantage Point Advisors is happy to announce that Christian Dougherty has joined as Director based out of our San Diego Headquarters. Vantage Point Advisors and current ACG San Diego President Todd Poling was interviewed by Mergers & Acquisitions for their article, “ACG San Diego: America’s Finest City”. Todd discusses how the ACG San Diego Chapter has evolved, especially in regards to the quality of the members. Todd’s leadership position in ACG San Diego has allowed for a more rigorous screening process, resulting in new memberships from senior dealmakers involved in high-level transactions. 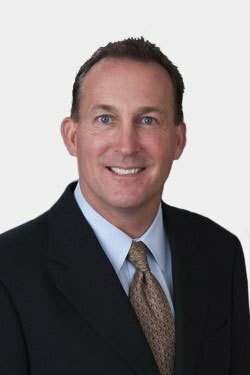 Please welcome us in congratulating Vantage Point Advisors President, Todd Poling on being elected as President of ACG San Diego. During his term, Todd’s main objective will be to improve member benefits. He also aims to develop quality programming, beneficial networking, improved member quality and increased drive throughout the organization. Vantage Point Advisors, Inc. is pleased to announce the appointment of Rich Barth as Director. 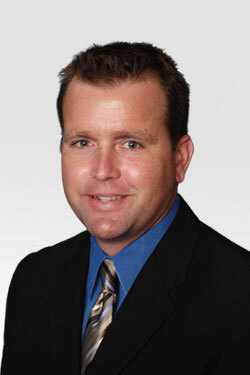 Rich has over 13 years in the financial and valuation industry, working both domestically and internationally. His experience includes running a valuation practice as well as working with some of the largest financial firms, Big 4 auditors, and middle market investment banks. Rich is a demonstrated leader who will be valuable in continuing to build on our firm’s mission to continually provide our clients with expertise, responsiveness and insightful solutions to their valuation issues. In addition to our new team members, Vantage Point Advisors, Inc. is pleased to announce the promotion of Rob Domingue to Senior Consultant. Rob joined our firm in 2007 with strong experience in strategic initiatives. He received his MBA from UCSD’s Rady School of Management and is a Level III CFA candidate. Rob has played an important role in building our firm’s reputation as a responsive resource for quality valuation engagements.